The Shandon UMC is located in lovely Columbia, South Carolina. OMG was invited by Anne Cox who is the Director of Christian Education/Adult Ministries. 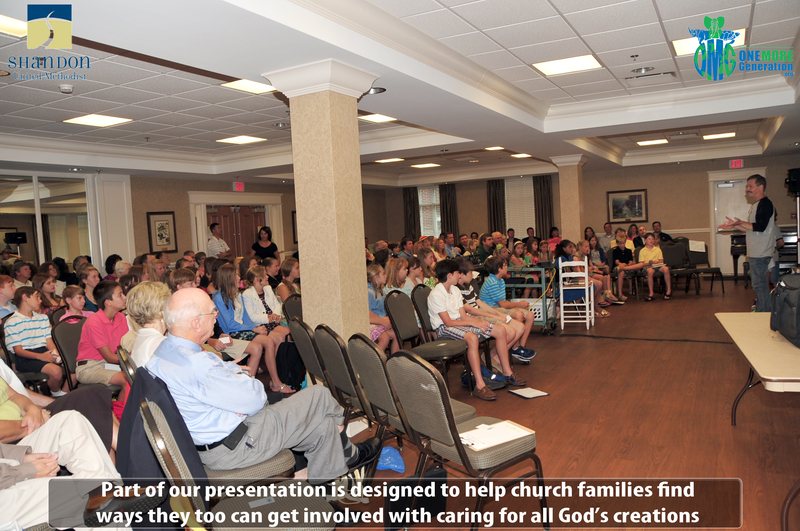 Ann had seen Olivia and Carter’s presentation back in March at the Caring For Creation conference in Lake Junaluska, NC and she immediately asked if we would come to their church and bring our message to their extended church family. 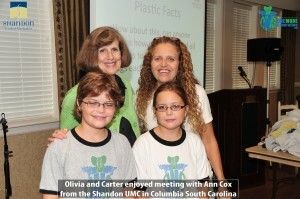 They are also extremely progressive and frequently search out others such as Carter and Olivia to help deliver their message to the community about special issues such as Plastic Pollution and the need to help save endangered species. What does it mean to be God’s Steward? 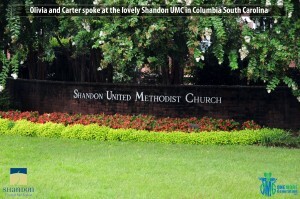 Here is how the folks at the Shandon UMC describe the term. A biblical understanding of “steward” begins with the affirmation that all of Creation belongs to God. All that we have—time, talents, treasures, health, wealth, environment, etc.—is given to us by God to use and care for responsibly. Stewardship is living out what happens when we center our lives in God. OMG’s program spotlights how environmental issues such as Plastic Pollution is harming our environment and killing so many of God’s creatures. Carter and Olivia want to help church communities and individual families realize that we are all stewards of God’s amazing work and it it our duty to look after everything He has given us, even if others around us are not doing the same. One of the many segments in their presentation aims to help families and communities understand what Plastic Pollution really is. They show everyone how to identify all seven types of plastics and to better understand which plastics are more readily accepted by local community recycling centers and which ones are not deemed recyclable. This knowledge helps families and communities make better choices when they shop as they can now try to avoid even bringing in such items to their homes, which means we will ultimately have less non-recyclables in our landfills. We call the process “Precycling” and it really helps communities make a difference in the amount of plastic trash they produce. 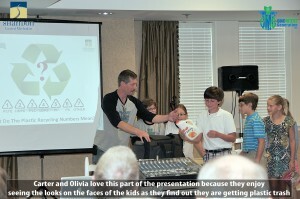 During their presentation, they have audience members come forward and reach into their “goody-bag” to see what they had brought along. One by one, they came forward hoping to retrieve something fun and valuable only to find various forms of plastic trash. Before long, audience members were holding all seven types of plastic in their hands and Olivia and Carter helped everyone understand how to identify all plastic types and better understand what should be avoided. Just as they finish up with that segment of their presentation, the dreaded OMG Bag Monster appears in an attempt to disrupt their program and to tell everyone that plastic was perfectly fine for the environment. 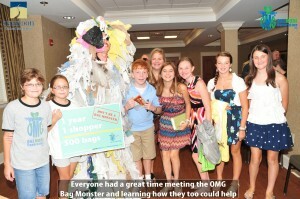 He also attempts to encourage everyone to use more and more plastic and not worry about recycling, but Olivia and Carter know better and they quickly share the true facts with the audience who eventually asks the Bag Monster to leave and take all his trash-talk with him. Everyone had a great time and the messages of encouragement from the audience after the presentation were just amazing. We wish to thank everyone from the Shandon UMC for inviting us to meet their extended church family and we hope that our presentation inspires others to realize that “Anybody can make a difference… if we can, you can too”.